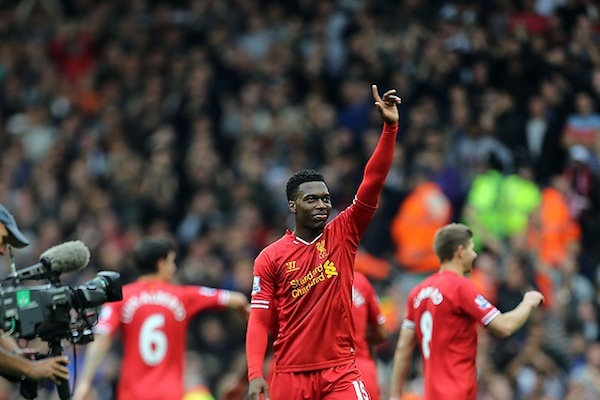 Liverpool FC – How Long Can This Last? Even if Liverpool are tied for first in the Premier League and might be using the best striking duo in the Premier League with Luis Suarez and Daniel Sturridge, there are few who believe this excellent start to the season can last for much longer. However, an interesting look at the calendar year table shows that the club has been one of the best over the last 10 months, enjoying a very strong second half of to the season last year, especially after the arrival of Philippe Coutinho and Daniel Sturridge. Besides talent, which Liverpool seem to have in their lineup, depth is needed in order to finish in the top four. Even without a European commitment, playing in the Premier League needs more than what Liverpool currently have, especially when it comes to their midfield. Interestingly enough, Brendan Rodgers has pretty much missed on his offensive signings this summer, as Iago Aspas has looked like miserable failure in the chances he’s been getting, playing as a striker, behind the striker or on the left wing, while Luis Alberto seems like a young talent that doesn’t bring anything special to the table, even when compared with Suso (who is loaned out) or Raheem Sterling. The middle of the pitch is a problem: Steven Gerrard is slowly decaying, or simply strapped with too many defensive responsibilities, playing without an attacking midfielder, while Jordan Henderson is usually wasted away on the right wing (played in the middle against Crystal Palace) while Lucas contributes nothing to the attacking development. Victor Moses has been playing as an attacking midfielder on paper, but the distances between him and Gerrard are often too great to make it seem like they’re part of the same midfield unit. When Coutinho returns is might look a bit different, but Liverpool are more about a direct approach this season, skipping on the build up stages many times, moving straight to giving the ball to their forwards. One thing Rodgers got right in the summer is his ability to overhaul the defense, bringing in Simon Mignolet, so far the best goalkeeper this season in the Premier League, Kolo Toure on a free transfer, also helping fill in for the injured Glen Johnson; and Mamadou Sakho, who is a pretty massive signing in terms of price, but he also has already shown great value. The injury to Joe Allen is hurting and stopping Liverpool from being able to adequately give Gerrard some rest or try out something more attacking than what Lucas brings to the team, especially when they’re looking for a goal, but when you survey the squads of the other ambitious clubs – Chelsea, Manchester United, Tottenham, Arsenal and Manchester City, the only advantage Liverpool might have over the others is their attacking duo, and that’s only based on their form at the moment. A huge success early on without playing too well in any of their five wins, staying this high up the table is going to be even more difficult, and improbable.